I’ve written several posts on the concept of “wardrobe benchwarmers,” my term for closet pieces that were worn only once or not at all during a given year (read more here). Sadly, I had 146 wardrobe benchwarmers for 2012 (125 garments and 21 pairs of shoes), which was close to half of my wardrobe! With my wardrobe benchwarmer project, I vowed to wear and evaluate all 146 benchwarmers this year and either integrate them into regular closet rotation or pass them on to someone else who might love and wear them. I’ve been so focused on dealing with my 2012 benchwarmers that I didn’t stop to consider my potential 2013 benchwarmers! Since there is only one quarter left in the year, I decided to take some time to look at my wardrobe benchwarmers past and, perhaps, future. My fellow data nerds out there will love this post, as I include lots of numbers! But I hope the more right-brained of the group will also stay tuned, as I include photos and useful insights about my wardrobe that can also be applied to managing your closet. While I love numbers and data, I actually fall fairly squarely between left and right brain dominance. I also love photos and visual representations of concepts. Accordingly, I decided to reorganize my closet to represent various facets of my wardrobe benchwarmer project. 2012 benchwarmers that would also be 2013 benchwarmers if the year ended today. Items that have yet to be worn during 2013 (and were not 2012 benchwarmers). Items that have only been worn once during 2013 (also not 2012 benchwarmers). Everything that has been worn at least twice this year. All of these would be “wardrobe benchwarmers” if it was the end of the year! I have worn 65 garments at least twice this year (and often many more times than that). I have worn 25 pairs of shoes at least twice during 2013. A total of 90 items in my closet have been worn two or more times in the current year. These are the clothes I’ve mostly been wearing this year. These are the items that are earning their keep in my wardrobe. Note that I have not included my lounge wear and workout clothes in the numbers above. Virtually all of those pieces are earning their keep, and then some! Since I spend so much time at home in front of my computer, going on walks, and working out, my athletic gear and lounge wear gets the most play. For that reason, I’m glad I decided to take the time and spend the money to up-level this area of my wardrobe. That time and money has definitely been well spent! Will These Items be Two – or Three – Time Losers? 25 of my 2012 benchwarmers are on track to earn that distinction again this year. These 25 items are all clothing pieces. I’ve done a good job in either wearing the 2012 shoe benchwarmers or designating them for consignment or donation. 10 of the 25 garments have been worn once this year. The other 15 garments haven’t been worn at all this year! Many of these items are dressier garments that are not needed for my current casual lifestyle, yet I’ve hesitated to get rid of them since I’m unsure how my life may change moving forward. While I was not happy to discover the numbers above, I learned something else that was even more disconcerting. Ten items may become three-time losers, benchwarmers in 2011, 2012, and 2013! These 10 items may end up being 3-time “benchwarmers”! A few of these could probably go right now, yet I really like some of them! But if they are still benchwarmers at the end of the year, I’ll realize they need to head out the door. No sense in keeping things that haven’t earned their keep for three whole years! What About Categories Two and Three? 26 garments have not yet been worn this year. Of these, 22 were purchased during 2013, and some were bought off-season (e.g. fall pieces that haven’t been worn because it’s still felt like summer where I live). Four garments that haven’t been worn have been in my closet since 2012 or earlier. 38 garments have only been worn once this year. Of these, 11 were bought during 2013 and the other 27 are from 2012 or earlier. Below is a photo of the shoes that are in danger of becoming 2013 benchwarmers. Of these, two are fairly dressy, one is a color I don’t really like (top-right, I may dye them), and one I really should be wearing but aren’t (tall boots). As for the remaining pairs, one is new as of September (top-left), one I recently dyed from brown to black (the ankle boots shown in my last post), and one I wore the other day and decided I really like (middle pair). The other two pairs (bottom row, middle and right) work well for my lifestyle but I wasn’t wearing because they’re not ultra-fashionable. Now that I no longer have my styling business, I’m more okay with wearing comfortable shoes that aren’t on the cutting edge of fashion. At the end of figuring out the statistics above, I had to total everything up and face the music. If today were December 31st, I would have 98 wardrobe benchwarmers (89 garments and 9 pairs of shoes). Yes, 98 is a lot better than 146, but it’s far from the goal I set of having NO wardrobe benchwarmers for 2013. Of course, I believe my actual 2013 benchwarmer number will be much lower than 98, as we do have close to three months left in the year. However, I believe I have little chance of ending the year with no benchwarmers. I’ll have to settle for progress over perfection. My wardrobe is still far too large. I have continued to buy too many new items. My lifestyle has shifted such that I spend more days at home in loungewear and fewer days out and about in my other clothes. Let’s look at these factors, as I suspect that many of you struggle with the same or similar issues. Many shopaholics have ultra-large wardrobes, as we continue to shop too much despite our already packed closets. 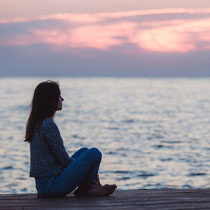 We tend to shop for emotional reasons and experience guilt and shame about what we buy, such that we choose to avoid dealing with our misguided purchases. Some shopping addicts don’t even remove their new acquisitions from the bags! I’m a big believer in facing the truth, but sometimes the truth really hurts. Having to type some of the figures above was like nails on a chalkboard for me. I definitely feel guilty and ashamed for having so many clothes and appropriately utilizing so few of them. Some of my readers are not compulsive shoppers but also struggle with paring down their wardrobes and wearing what they have. 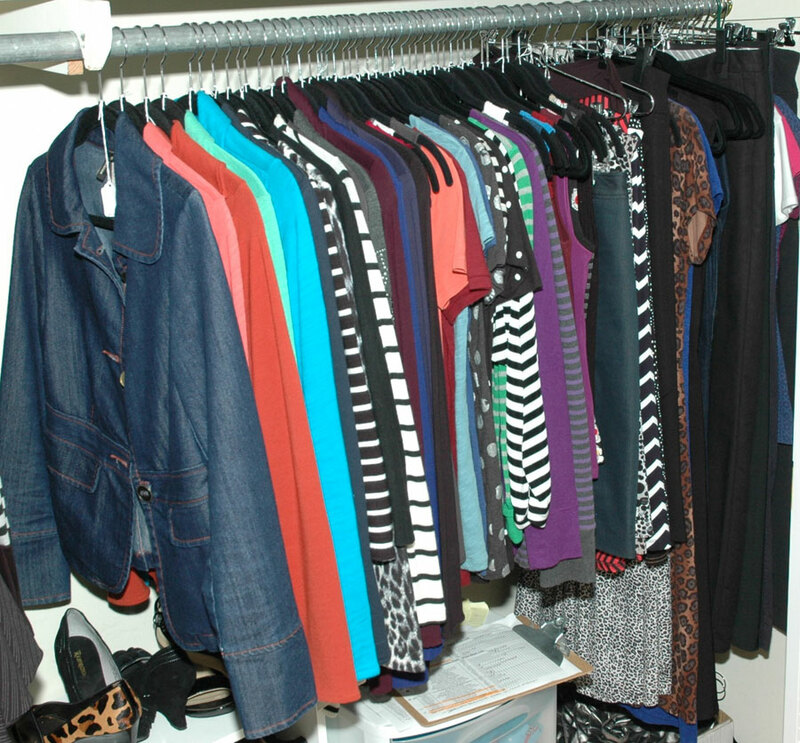 Most of the wardrobe styling clients I worked with were not shopaholics, yet the majority of them had so many clothes that they had no idea of what they had. They generally wore the same small number of pieces over and over again, while everything else simply languished within the confines of their closets. Shining a light on what’s really going on with our wardrobes can help us to recover from shopping too much and hanging on to a multitude of clothing pieces that don’t serve us. Even though I tracked my wardrobe for two years before starting this blog, I didn’t delve deeply enough to feel the pain sufficiently in order to motivate change. Evaluating my wardrobe and sharing what I learn in a public forum has given me the jolt I needed to actually do something about my overcrowded closet and my compulsive shopping habit. Of course, I also need to address the emotional reasons underlying my overshopping behavior and I will continue to write about those topics as well. As for the lifestyle issues, I suspect many of you also shop for a lifestyle other than your actual life and own clothing for a past life or a wished-for existence. In my situation, while I used to go out in the evenings and attended business events far more than I do now, I never really needed as many dressy / business clothes and shoes as I possess. A few such pieces would have sufficed, but I kept buying more “just in case” such that I’ve spent this year continually consigning and donating items I’ve rarely or never worn. Donate or consign more pieces that I either don’t love or just aren’t wearing much. Get out more so I can wear more of my clothes! Wear more of my “regular clothes” when I’m working from home. Those are the possible solutions I can think of, but I’m open to suggestions for things I might have missed. Of the possibilities above, I know I need to do the first and second options and I would really love to do the third option as well. I hope my health will improve such that I’ll be able to get out more and that I’ll gain increased clarity on my life path and start incorporating new interests and hobbies into my life. In actuality, I attended far more events in 2012 than I did this year, so my benchwarmer situation was truly much worse last year. I’m trying to not be so hard on myself for wearing fewer of my clothes this year, as my situation has not been normal. For as long as I can remember, even though I’ve been working from home for 12 years, I haven’t spent as many days at home all day as I have in 2013. This year has truly been different and I hope next year the pendulum will swing back to more normality in terms of my lifestyle. Until then, I will work with what I have and do my best to wear more of my garments even if it’s just at home. Decide how often you want to be wearing the items in your closet, and then work backwards. I highly recommend that you read my February post titled “What is a Normal-Sized Wardrobe?” (if you haven’t already seen it). To meet my goal of wearing everything in my closet at least 8 times per year, I only need about 40 shirts – and I still have twice that number. Your numbers may vary, but it’s worthwhile to stop and think about it and do some simple math (it won’t hurt that bad, I promise!). If your lifestyle changes, your shopping habits should also change. Once I started being at home so often, I should have dramatically cut back on my shopping. If I did buy new things, they should have corresponded to my actual life activities, not “just in case” scenarios. Remember what Bridgette Raes asks her clients, “Where are you going in that?” You’d do well to ask yourself that question before you buy anything! Learn from your past mistakes. I should have evaluated my 2011 and 2012 benchwarmers more thoroughly in order to avoid repeating the same types of mistakes. If the same sorts of items keep sitting on the sidelines, perhaps I should stop buying those types of things and let the ones I have go. Look at what you’re not wearing. Try using the “hanger trick” or one of my other wardrobe tracking techniques, or take a look at your shopping mistakes and wardrobe favorites for common elements. Synthesize the lessons, aim to do better in the future, then forgive yourself and move on. What’s past is past and hanging on to things just because you spent money on them won’t bring those lost dollars back (see sunk cost fallacy). Okay, that’s enough for one day! Now I’m going to go and take my own advice. I’ll definitely provide another update on my “wardrobe benchwarmer project” before the end of the year. I hope to have better news to report, but I’m still glad I took the time to take stock of my benchwarmer situation today. I now know better, and when we know better, hopefully we do better! Thanks for reading and, as always, thanks for your support! If you have questions or comments for me, I invite you to share them in the comments section. I’ll be back on Friday with some useful links on successful shopping. Hi Debbie! The only advice I could give is not to worry about it too much. I think that you have made a substantial amount of change this year. Between the number of items that you have bought, keeping to your budget, and passing along a number of items you have made great progress. Looking at where you started and where you aspire to be there is a significant difference. I think that it will just take time and the awareness that you have developed will be of great help. This year I have passed along about half of my clothes and shoes. My wardrobe is still large and not quite what I want it to be, but it is definitely more manageable. The biggest benefit that I have received from this is when I consider adding something new I think of all of the things that have left my closet and if it would end up being one of those items or something that I would keep and wear more than once. Thanks so much for your support, Tonya. I do think I worry about it too much and am striving to make faster progress than I’m making. I do acknowledge that I’ve made good progress, but it often isn’t fast enough for me or for others who comment on this blog. But I realize we all progress at our own pace. When I get rid of things too quickly, it sometimes fuels me to shop too much, so slow and steady wardrobe paring works better for me. Like you, I’m giving more careful consideration to future purchases, which is a very good thing. Congrats on the excellent progress you’ve made! I feel you and I have been on a very similar path and it’s great to see the changes you’ve made, too. As Tonya says, you’ve made great progress this year. You’re developing awareness of the problem. Awareness is always the first step to change, otherwise we don’t know what we’re trying to change! I’d like to say that there is nothing to be ashamed of, as you analyse these numbers. Shame tells us that “I’m not good enough”, and we certainly are enough, just as we are! Shaming yourself will only result in more negative feelings about yourself. I know it’s hard. Try saying to yourself, “it’s a work in progress, and I will try again tomorrow”, if you’re struggling with feelings of guilt. From a fellow numbers junkie, I suggest recording the reasons why you get rid of a particular item. I’m guessing you have an inventory, and if you decide to purge an item, write down the exact reason why you got rid of it. I’ve done this before, e.g. fit, fabric, does it make me feel good, etc. Then you stand a better chance of objectively remembering that you don’t like a particular fabric, or fit – and may be able to avoid buying those items back. Thanks for the excellent points you made, Linda! Shame is a huge issue for me and it’s helping me a lot to read and watch Brene Brown’s material on that topic. I have a lot of “I’m not good enough” swirling around in my internal dialogue, which as you say, only leads to more negative feelings and counterproductive behavior! I like your suggest of writing down reasons for why I got rid of things. I used to do this but have been inconsistent with it as of late. I will get back to it and look for common threads and lessons to carry forward. I wonder if donating the 98 in one fell swoop wouldn’t be a huge game-changer for you. I’m guessing you’d feel relieved and freed of a burden. Since you can’t undo the 98, perhaps admitting (as you have above) and then letting go is the solution. I got chills up my spine at your suggestion, Elizabeth! Yes, it would be a huge game-changer, but I’m not sure I’m ready or willing to take such a big step. But I have been thinking of what you wrote and will endeavor to pare down at least 15 or 20 items this weekend. That would be a good step in the right direction! I think you feel guilty about letting them go because to do so represents bad decisions, which leads to thinking about money poorly spent, and so on. So you are trying to “rescue the situation” by continuing to ponder things. I’ve been there. When I first started minimizing my own wardrobe, some of my friends said things like, “I couldn’t just get rid of things, I have too much invested in them.” And that is true. But hanging onto the idea of an investment once made that no longer serves can be a burden. You have made great progress this year and it is led to you spending a lot more time at home as well as still spending a lot of time thinking about, tracking, disposing of or shopping for clothes. I’m curious if you have any sense of how much time you spend on clothing each week other than wearing it or cleaning it? You had mentioned earlier wanting to develop other interests that would have you interacting with people more. A possible goal that might help you make even more progress would be to substitute some other activity for those related to clothing. Good luck and don’t be so hard on yourself. It’s good to see you commenting here again, Juhli. You’re right that I need to stop being so hard on myself. As for how much time I spend on clothing/shopping-related activities, it’s actually a lot less than it was in the past. When I do blog posts like yesterday’s, of course I’m doing a lot of ruminating and analysis, but in general I don’t spend as much time as I did previously. I used to do a lot of online browsing as well as in-store shopping and both are MUCH less than before. I am working on cultivating new interests and will write about that again soon. I need to do more in that area, but I’m taking some positive steps to do and enjoy things that don’t involve clothes or shopping. Why not ditch wearing lounge wear for a while and “dress up” each day in your under-utilized clothing? 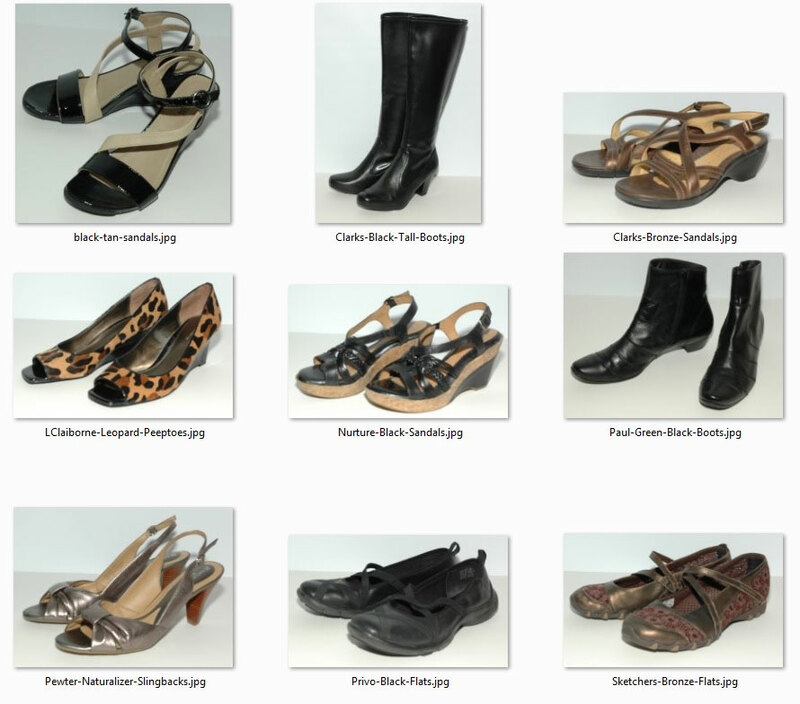 You could try different combinations of clothing, shoes, accessories, etc. 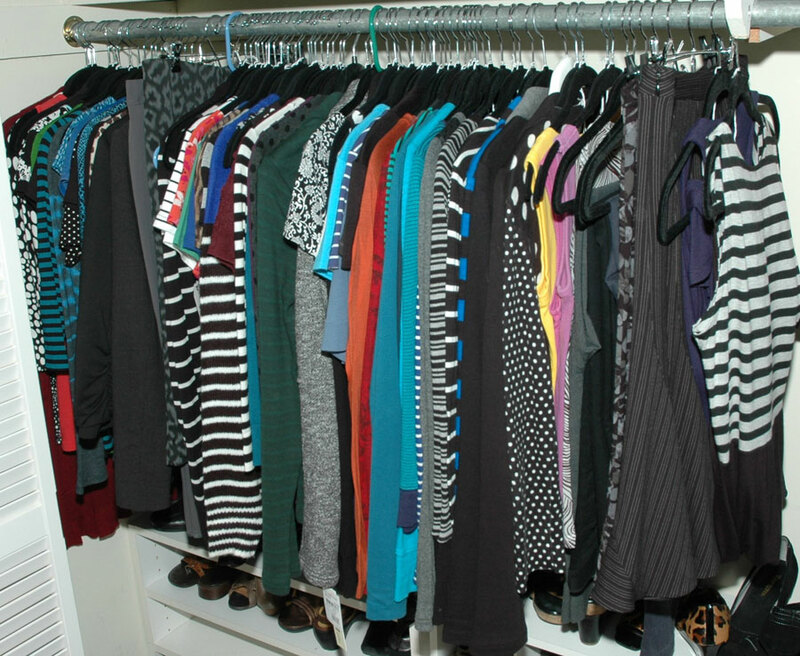 It’s very hard for me to get my mind around having a giant wardrobe with scores of not-worn or seldom-worn every-day clothing. I LOVE all of my clothes and love wearing them — most of them every week or every other week (or at least 20-30 times a year). Anything that I don’t love/wear leaves my house ASAP otherwise I’d spend too much energy (mostly psychic energy) dealing with unwanted and unloved articles of clothing. As I have gotten older, I’ve decided that I’d rather spend my time elsewhere…. I have a couple of comments about your post. First, I agree heartily with Dottie about ditching the loungewear and dressing up in your work clothes during the day. I made this a rule for myself back in 1994 when I started working from home half the time. Now, I don’t put on loungewear at least until after dinner. I think wearing loungewear to work in makes a person feel less professional, at least it does me. Second, I think you give your benchwarmers too many chances. Once you’ve realized a garment is a benchwarmer, it should be tested in real life and you should be judgmental about it during the wearing. Example, yesterday I decided to wear two of my fall benchwarmers, a caramel cascade front cardigan and a black/caramel printed skirt. I could have gone through the day fussing with these things, but I got fed up after 15 minutes. The skirt was too big, so it twisted around, and the cardigan constantly needed adjusting to hang right. Yes, I love the fabric and the colors, but they will just work better for someone else. I tested every garment in my spring/summer wardrobe and found that by the end of the season I’d worn every single one of them and had no more benchwarmers. I went from 289 garments down to 73. Now I am starting on fall/winter and doing the same thing. At the very beginning in April 2013, my goal was to get down to a total of 198 garments for the whole year (99 garments per six-month season). When I began, I wasn’t sure I could make this goal without feeling deprived, but barely into fall, I have already exceeded my own expectations. I have my summer wardrobe down to 73 pieces and my winter down to 95 pieces and am still culling winter. The 95 includes a few new pieces I purchased as well. The funny thing is, when I had so many clothes, I never thought I had enough, and now I think I still have too many! Go figure. I think one thing that has really helped me a lot is having my colors done the David Zyla way. Yes, I thought I knew my best colors before, but I was wrong. It has made such a difference in how I choose clothing now! No more “off” colors to deal with! Now people compliment me often on my wardrobe, whereas before I seldom received any comments (good or bad) about my attire. I agree with you, Deborah, about allowing bench warmers to take up valuable closet real estate for too long. I also think, rather than puzzling over WHY a purchase went wrong, it might be better to forward the offending garment to a resale shop of charity store and then move on. If something doesn’t work for me, it’s either back to the store or out the door. I love clothing and style and so forth but I’d rather focus on what DOES work and learn lessons from why things work (right length, versatility, color, fabric) and build a wardrobe from there. 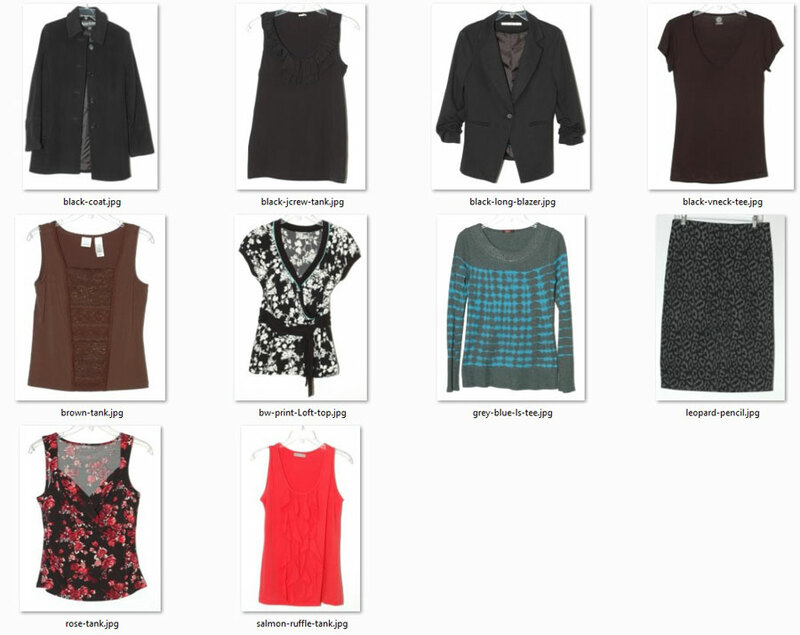 My entire 4-season wardrobe is a little over 100 well-edited and much loved items of clothing. 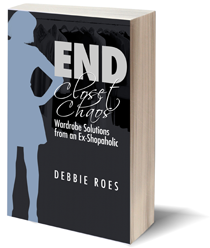 You have made such excellent progress on paring down your wardrobe, Deby, so I really want to acknowledge you for that! Like I said to Dottie above, I’m going to start wearing some of my unloved clothes at home more often. I do feel a bit strange to dress up when I’m at home, but I will definitely wear the less dressy items and perhaps go from there. As for my benchwarmers, I agree with both you and Dottie that I give some of them too much of a chance. If something is overly fussy and annoying like the garments you described, I have no problem letting them go, but some things are harder to decide upon. Some things aren’t being worn because my lifestyle has changed and I think it may change again and I could need those items. Also, since it’s hard for me to find things that fit, I hang on to some things because I don’t want to have to wrestle with all those fit issues again. Additionally, I don’t always trust myself to make the right decisions. If I really knew what DOES work for me like it sounds like Dottie does, I could easily get rid of everything else, but I have body image issues that get in the way. It’s hard to describe it all, especially to those who don’t have any such issues, but it’s more complicated than just getting rid of things I’m not wearing. I do plan to keep pushing and challenging myself and I understand my progress seems very slow to some people, but I’m doing my best. While I get frustrated sometimes, I do acknowledge my progress and will keep taking things day by day. I will keep going until I reach my goals even if it takes a lot longer than I’d hoped. I will get there! Everyone has body issues, Debbie. Admittedly, I don’t have the pants fit issue that you describe. I find it easy to find pants that fit and I love the skinny silhouette that is popular now. But I have other body issues. I am more V shaped than pear shaped–my shoulders are broader than my hips and my waist is slightly defined. My upper arms are heavy, of average length, and I have a large bust. My neck is on the short side and I have a square shaped face that makes my neck look even shorter. I find it extremely difficult to get a good fit in a woven shirt, and standup collars usually make my head look like its sitting on a plate. Turtlenecks are completely out of the question. If a woven fits through the bust, then the sleeves are too long. Plus, just because it fits in the bust does not mean it fits in the shoulders, and vice versa. Plus if it has any sort of collar, its completely unflattering. So, I don’t wear woven shirts unless they are full cut and collarless, but then they can look too sloppy. Its a fine line on that. But Debbie, I would rather have your pants problem than my top half problem. Why? Because you ALWAYS look great in a head shot with your graceful head and neck proportions. For me, it is a nightmare to achieve a decent headshot. I always look chunky and I don’t feel chunky on the inside. I know everyone has body issues and I can certainly appreciate the ones you describe as being quite challenging. I was trying to explain one reason why I struggle with letting go of some clothes and apparently my explanation was not a good one! Let me try again… I have such varying opinions about how I look and feel in many of my clothes that I find it difficult to trust what I’m thinking and feeling. So I wait and try again. I agree that I give some things too many chances and I’m going to try to remedy that. I’m also asking my husband’s opinion more and trusting his input and adding it to the equation. 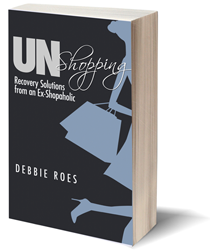 Debbie, I have been reading your blog for several months now, and I want to tell you how helpful I find it. I want to thank you for being so open and honest in your blog. It’s really comforting to me as I struggle with my own shopaholic issues. Congratulations on shedding about 1/3 of your wardrobe benchwarmers! Thanks so much for your kind words, Rachel! I’m glad you like my blog and are finding it helpful and comforting. I appreciate your taking the time to let me know. You have inspired me to actually identify & count my bench warmers. I have 19, 2 of which have been here for 20 years! Another 2 that I included are very new & I know I will wear them soon. It’s a helpful exercise and I will not allow these bench warmers much more time in my wardrobe. Thank you for the time you take to post your fascinating and beautifully written blog. Maybe there’s a conference or seminar for blog writers near you? You could wear some bench warmers to attend it! I’m glad I inspired you to count your benchwarmers, Katy. Your number is actually not too bad and it sounds like you feel ready to get rid of some things. Good for you! Thanks for your kind words about my blog. I don’t know of a conference or seminar for blog writers in my area, but I do plan to join a local writing group, so I’m sure I’ll have more opportunities to get out and wear some of my benchwarmers! I love this! Adding it to my ‘follow’ list immediately! Welcome, Jessica, and thanks! I hope you find my posts helpful and I welcome your comments. Thanks again for the link to my post. Yes, I say “Where are you going in that?” so many times with my clients that it has become my mantra!! Another one to try when purging is to seriously ask yourself, “Under what circumstance am I going to choose to wear this item over something else that I love more in my wardrobe?” It’s really fascinating to see the reaction I get from my clients. Thanks for sharing this additional question, Bridgette! I used it as I was going through my “benchwarmers” again over the weekend and it really helped. I will continue to use it as I pare down my wardrobe. In most cases, I have my favorites and would much prefer to wear those over less stellar pieces. For me, I think I’m having to get used to having a much smaller wardrobe (although still large) than I had for years. But I know in my gut that I just don’t need all that much. I loved that post, Bridgette! I and many others NEED such a tough love approach and I appreciated the proverbial kick in the rear end! I think you’re right about buying more because we don’t know how to work with what we have. I know that when I take the time to “play” in my closet, create outfits, and take photos, I’m pleasantly surprised at how many outfit possibilities I already have. I haven’t done that in a while now, so I think another outfit session is in order. Perhaps one of these days, I will have a virtual session with you to get some of your expert advice! I wish I was in NYC and could meet with you in person. I’d love to do that one day and will keep it in mind! Hey Debbie, once again a fascinating analysis both here and in the September update. So much tough stuff, I’m proud and impressed to see you continuing to chip away at it. You have an admirable determination of spirit for self-knowledge, following your instincts and delving deep to find your own path to sustainable lifestyle changes. There is much wisdom there. Well done. Thanks so much for your kind words, Claire! It IS tough stuff and the truth isn’t always easy for me to take, but in the long run, I know I will be MUCH better off for taking the time to delve into all of this and increase my knowledge and awareness. I’m glad that my journey is also helping others to face their own wardrobe issues. That makes it all the more worthwhile for me! When I was looking at your two pictures, I was struck by how similar they looked to each other. Similar colors, a lot of striped items, etc. I wonder if maybe you should consider grouping all similar items together and then just picking out your two best and letting the rest go. You mentioned this somewhere in another post, about the “runner-ups.” Maybe by doing your benchwarmer evaluations in the context of other similar items, it will be easier to decide. And then don’t buy any more of those things. You made some good points, Alice. I’ve gotten rid of a number of other things since I wrote this post and am continuing to pare things down. You’re right that there are a lot of similar items. I usually group like with like, but my closet has been different since I did Project 333. Many things were boxed up for months and I just added a lot of it back right before I wrote this post. It’s getting easier to get rid of things these days and I wonder how I ended up with so much in the first place! I will implement your suggestion as part of my closet purge process. I definitely plan to pare things down more and then buy less. I appreciate the number crunching you did here Debbie. Inspired by your post I did some number crunching on my own and at the moment it looks like I would finish 2014 with 84 ‘benchwarmer’ items. This also considers that my working closet would have 104 items. This means I have almost enough items in the ’boutique’ to replace my ENTIRE working closet, yikes! While this number should go down a little at the end of the year (as items wear out, I purge pieces, and if I do NOT add anymore new pieces) it’s probably still fairly accurate. So glad I found this post. I am ruthlessly trialling benchwarmers. They are getting a full days wear before the big decision. It’s quite fun. Welcome, Fiona, and thanks for your comment. I’m glad you’re enjoying giving your wardrobe benchwarmers a trial. That’s really the best way to go. A lot of people think a certain garment is good or “fine,” but wearing it for a full day will tell the true story. Best of luck to you!